For this personally hectic month of March which, you may have noticed, led to this blog being a bit neglected, I anoint a collaboration brew between Green Flash, Port Brewing, and Stone Brewing called Highway 78 as Beer of the Month. For those of you who don’t know your way around San Diego, Highway 78 runs nearby all three breweries. 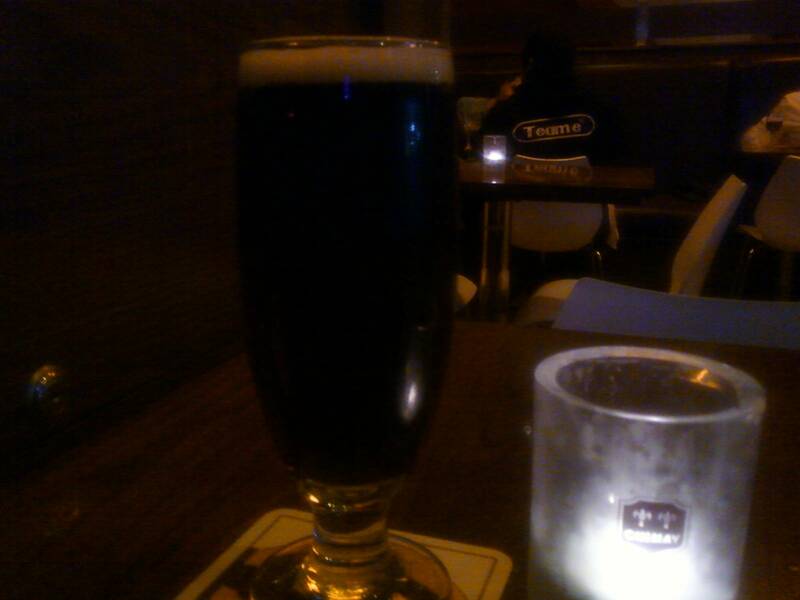 I discovered this Scotch Ale during my travels to Hollywood earlier this month, a trip that seems like last year. I found it rather ironic that three breweries who have made most of their reputations shovelling lots of hops into their brew kettles have come together to make a really smooth Scotch Ale with no hop character to speak of. I found the rich, savory, umami flavors dominating with some sweet molasses and smokey undertones rounding it out. There’s nothing arresting or hitting you over the head, just a lot of easy drinking flavorful malt goodness. Since brewery collaborations tend to produce rather extreme beers which at time have gone a bit over the top for my taste, I was surprised to find this such a smooth, easy sipping relaxing brew from a collaboration one would least likely expect. It’s been a crazy month for work and family matters. Thank goodness for beers like Highway 78 that provide a respite from the chaos.